As seems to happen often with reports from DigiTimes, this news sounds completely reasonable, but also completely overblown all at the same time. The new report says that the rumored Google Nexus tablet could have an adverse effect on other Android tablet sales when it is released. This in itself seems perfectly reasonable, because there is a niche audience that would love to see a Nexus tablet and would likely choose it over other options. But, that's just it: a niche audience. The idea is that the Nexus tablet will likely come loaded with Android 4.1, which will not be available to other manufacturers and will have extra features that make the Nexus tablet more enticing than other Android tablet options. However, some other media outlets have used terms like "cannibalize" and DigiTimes itself tries to assert that the Nexus will cause a "conflict" with other manufacturing partners. This seems completely overblown to us, and also seems like an indication that DigiTimes and others haven't really been paying attention to the Nexus line thus far. The Nexus line always has a newer version of Android which other manufacturers haven't had time to build into their devices, which always means more features. That's the point of the Nexus line: it shows the future that Google sees for Android. But, that has never caused trouble with other manufacturers, because Nexus devices are essentially developer reference devices. Even the Galaxy Nexus, which has been the most widely popular Nexus device to date has never been accused of "cannibalizing" sales of other devices. Google has always known that the power of its ecosystem is in the diversity of devices, and the Nexus is part of that diversity. We're sure a Nexus tablet may shift a few sales away from other manufacturers, but we doubt it will be significant, especially if the major difference is in software which other devices will get eventually anyway. I can see a Nexus tablet affecting the sales of partner tablets as well (Nice article, Michael). Other than it being called a Nexus device, people can rely on upgrades (timeframe wise and are gauranteed updates) and that it will be stocked Android instead of the software being painted with the Manufacture's UI and/or bloatware. 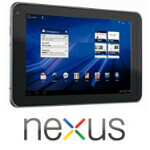 I would definitely buy a Nexus tablet, if it's actually released. Just hope it's not overpriced like these other Android tablets are, which is another reason to why Android sales are currently terrible. i here you their man! seriously! Sorry about that. The original title matched the intro sentence: "could have an adverse effect", and when I edited for length, I accidentally miscorrected myself on that one. That said, it's a small mistake and one that's easily fixed. No need to get all worked up about it. I think a nexus brand tablet will be great.. if this is gonna be true, i hope its not samsung made or its gonna be crap.. Unless its the Kindle Fire 2 or iPad, the impact on the market will be insignificant. The "iPad killer" Xoom from last CES was hyped endlessly and flopped. I saw the original article the other day and i just thought "BS". Nexus devices HELP customers of other devices because they help raise awareness of updates and thus customers demand updates on their devices. It obviously works as Samsung has done a 180 on their SGS1 update plans... or lack there of. I would definitely buy that for two reasons: 1 google will have best specs 2nd it will get the latest updates.